Are your ACTIONS aligned with your PRIORITIES? The Ikigai Workshop uses simple, approachable tactics to demystify heavy concepts like purpose and reveal personal insights with depth and meaning. Participants will leave with an approachable, practical framework to live with more intention while joining the growing Ikigai Community dedicated to their ikigai pursuit. Meet the Ikigai Worksop Panelists! Born in Tokyo, Eric became immersed in Japanese food culture as a child. When his family moved to Atlanta, GA, he fell in love with Southern cooking. 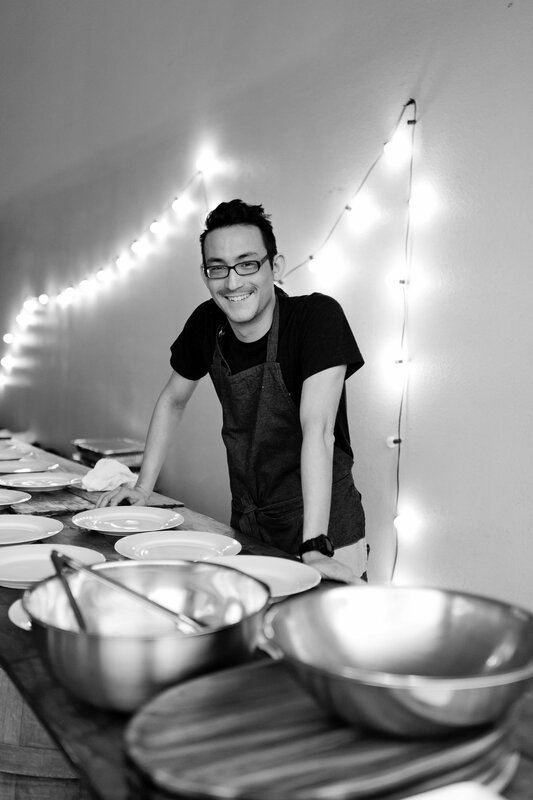 Silverstein eventually pursued a career in the food-truck industry, and has since been featured in The New York Times, People, Kiplinger’s, Food & Wine, and Details, as well as on Live! With Kelly & Michael, Food Network, and The Cooking Channel.Silverstein opened his first brick-and-mortar restaurant, The Peached Tortilla, in Austin, TX, in 2014 (named by The New York Times as “One of the Five Places to Go in Austin”). In 2016, Silverstein opened Peached Social House, a one-of-a-kind event and catering space, and in 2018, he opened The Peached Tortilla’s first fast-casual restaurant in Austin-Bergstrom International Airport. San Antonio native Erin Mursch studied Spanish language and culture and worked in the field of international education for a few years before stepping into entrepreneurship. In her experiences traveling abroad, Erin observed American culture with new eyes, how its glorification of busyness, celebrities and material possessions didn’t result in greater happiness, but rather more cluttered spaces and higher stress levels at home. As she was launching her Austin-based home organizing business, Marie Kondo’s Life Changing Magic of Tidying Up hit best sellers lists, and Erin soon enrolled in the Japanese organizing guru’s first Consultant Training program outside Japan. 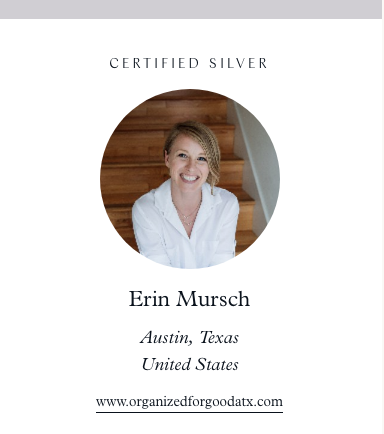 She became Austin’s first Certified KonMari Consultant in 2016, and since then, Erin has been featured in Austin Woman Magazine and Studio 512 local morning show.